Also known as Congenitally Corrected Transposition of the Great Arteries. The circulation is normal in this defect. However, the anatomy and the conduction system are abnormal and the aberrant pathways may cause arrhythmias to develop. Arrhythmias also arise because of the defects that are frequently associated with this condition, such as ventricular septal defects (VSDs), narrowing of the pulmonary artery (Pulmonary Stenosis), defective tricuspid valve, and a defective sinoatrial node (natural pacemaker). Conduction abnormalities, such as atrial tachycardia, may also be caused by the incisions and/or subsequent scarring caused by the surgical correction of these defects. The most common postoperative difficulties involve heart block (the impulses from the heart's natural pacemaker (sinotrial node) are delayed or blocked), which may occur despite extreme care to avoid interruption of the conduction pathways. External or internal pacemakers may be implemented to correct these problems. In extreme cases, there may be the development of third degree, or complete, heart block, in which the atrial and ventricular pumping become completely out of synch. 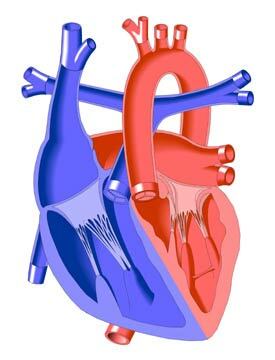 Both atrial and ventricular arrhythmias may arise over time as the functional left ventricle begins to lose its ability to support the systemic circulation (a task undertaken by the other anatomic ventricle in the normal heart). In some cases, persistent ventricular tachycardia (a lethal arrhythmia) is observed. Systemic ventricular dysfunction is especially common in cases where a large VSD or narrowing of the pulmonary valve (Pulmonary Stenosis) was present. Treatment may involve medications and/or the implantation of pacemakers or ICDs (implantable cardioverter defibrillators that detect arrhythmias and shock the heart in order to restore normal rhythm). Radiofrequency ablations (non-surgical procedures in which the heart tissue that is causing the arrhythmia is neutralized) may be performed, as well as "surgical maze procedures," in which a series of incisions are made in the walls of the atria to interrupt conduction pathways and discourage the development of arrhythmias.